The year 2017 has only just begun and Fawad Khan has already racked up accolades. 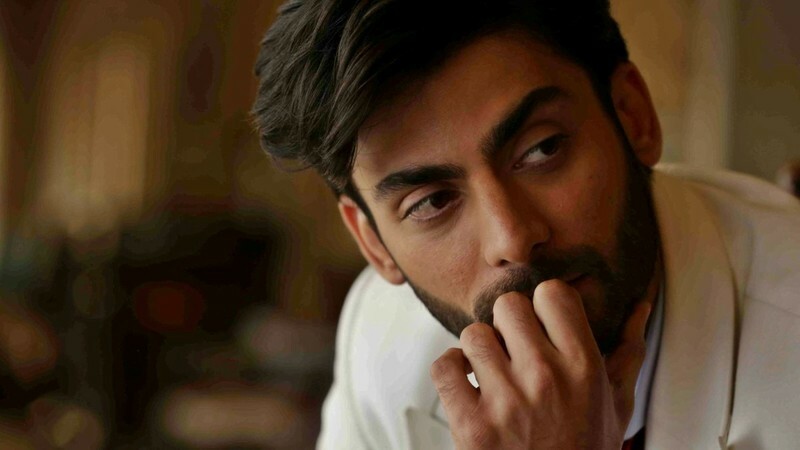 In India, despite 2016’s post-Uri incident ban on Pakistani artists, Fawad found himself in the running for Best Supporting Actor at the 2017 Filmfare Awards for his role in Kapoor & Sons. In Pakistan, leading magazine The Herald named him one of its 10 People of the Year. 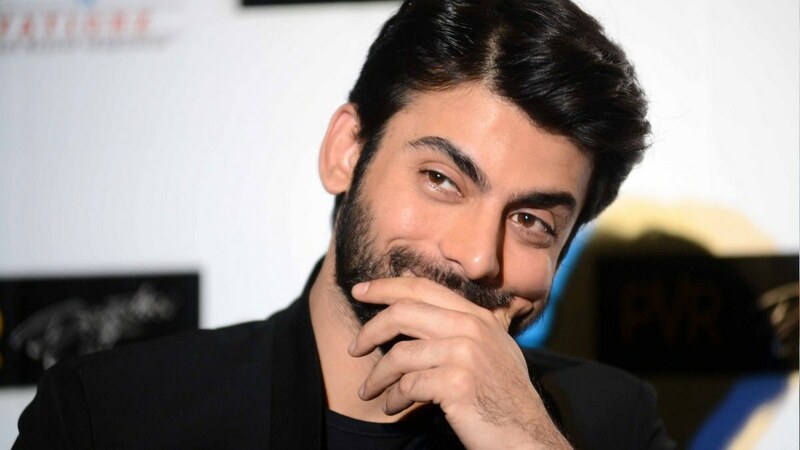 Around the time this interview took place, Fawad was in a sort of self-imposed vow of silence — he’d barely spoken to the media since relations between India and Pakistan turned ugly, an event that made promoting his latest Bollywood venture Ae Dil Hai Mushkil impossible. He was also preoccupied with the birth of his second child, a daughter, and only committed to rare ‘celebrity’ appearances. In the few weeks since our meeting, Fawad appears to be pursuing long-awaited projects in local cinema with a vengeance. Pictures of him with the cast of an upcoming Pakistani film directed by his long-time friend Bilal Lashari are circulating around the internet. Has he bounced back from the unfortunate, damaging Indo-Pak row that placed a halt on the Bollywood aspirations of every other Pakistani actor? Or was he never affected very much at all? In his first comprehensive interview since then, he tells all. Icon/Images: What’s the most important thing in your life right now? Fawad Khan: The most important thing to me right now is my daughter. We’ve just had a baby and she takes up most of my time, and I’m finally getting to spend quality time with my family. Icon/Images: A lot of people, especially young people and fans across the border, think you’ve become a big star over the past three years when actually you’ve been in the public eye for over a decade. How has ‘being famous’ changed in that time and how has your response to it changed... or not? FK: With social media I think it becomes a little more intrusive. People have more access to you. It’s obviously very flattering, all the love and affection that you get, and then there’s also the downside of it, sometimes things don’t go your way. But in light of freedom of speech, people can say whatever they want, they can hold whatever opinions they want and I think I’ve taken it in my stride. But getting in your face can be a bit problematic. I feel being on a public platform and especially in this day and age with smartphone culture, I myself having had endorsed the selfie – the ‘grandfie’ [laughs] – I can’t argue about it much. I wouldn’t say I enjoy it, but if someone wants a picture, that’s fine. Yes, it can get a bit out of hand like if you go to the gym and someone says ‘yaar yahan pe bhi kechnee hai’, and keep pressing. But then I feel... how far will it go, will they get into the shower and take pictures with you as well? That can be problematic, otherwise I think its fine, I’ve not experienced anything obscene as yet, they respect me and I respect them. Yeah, I’ve been penniless. I’ve had to struggle a bit. But now I enjoy thinking about that because it just makes me feel better about my achievements. Icon/Images: In previous interviews you’ve mentioned that you went through a ‘dark phase’ in your younger days. Your friends have described you as ‘resilient’ because you managed to move past those times to become who you are now. Could you elaborate? FK: Well, I could be wrong since I feel there is no ‘objective truth’ and everything is subjective – but the way I look at things is that when you’re younger, you have too many expectations from life. I think there comes a time when you start dropping expectations. Because the world doesn’t owe you anything, and you don’t owe the world anything in return. Things, feelings, are a very simple transaction. If you get it, be grateful. If you don’t, be alright with it. When I was younger I’d be like, I also want to make some money, I want a slice of the pie. So those could be the dark times. And yes, health was one thing that used to bother me. And that’s still something that’s with me, but I take it in my stride. Interestingly, yesterday I was having a conversation with my wife and I was just appreciating, or maybe I was just in a very emotional moment, that had I not experienced the downs in life I wouldn’t be able to appreciate the ups, and my life would have plateaued. And when life plateaus, it becomes suicidal. You need to have a reality check from time and time again. So whatever that dark period was, I’m glad for it. Yeah, I’ve been penniless. I’ve had to struggle a bit. But now I enjoy thinking about that because it just makes me feel better about my achievements. FK: Or whether it’s part of my strategy? FK: Well, I think both. I’d rather speak less because I don’t consider myself a very intelligent person. So I think rather than being a victim of ‘foot-in-mouth’ disease one should refrain from talking as much as possible. I do tend to ramble and I can ramble with my friends and be expressive. But I feel – and this goes back to social media and freedom of speech – when you’re on a public platform and you put something out there in front of people who don’t know you, they might just perceive it in a very different way altogether. Some people may say it’s wrong and that you should stand up for what’s right, but my argument is: it’s all so grey, how can you say what’s right or wrong? You stand up for one thing and there will always be someone who’s an opponent of that idea. My belief is if one wants to take a stand on something, one must be very educated about it. We live in a Wikipedia generation, it’s a very sad fact that people are not well-versed in subjects and tend to get into heated arguments without knowing the context of things. I’m not a person for confrontation. You may call me a coward, but I just don’t like confrontation. I don’t like upsetting people or getting upset myself. I don’t think I’m unfriendly, but it’s got to do with me being timid and having a serious case of stage fright. It’s not so much about being an introvert as it is about being slightly reserved about my opinions. I like to keep things that way. But just last year or so, I started hosting parties for people and I found it to just be such a wonderful experience. It’s so much fun to watch people mingle in a dignified fashion yet still have so much fun. I’d love to get to know people, but I don’t want there to be a context to it. I don’t want there to be some outcome expected from it, because again, I’m not a man of expectations. Icon/Images: What about an artist’s responsibility to speak about matters that might be of the public interest, whether it’s politics or human rights or something else? Or do you feel an artist should feel no such compulsion? FK: The motto of my life is ‘the best advice is no advice at all.’ Yes, there’s a lot of sadness and grief in the world. But my belief is if one wants to take a stand on something, one must be very educated about it. We live in a Wikipedia generation, it’s a very sad fact that people are not well-versed in subjects and tend to get into heated arguments without knowing the context of things. I’ve been a victim of that myself. If I’m going to talk about something, I need to be educated about it and I need to have seen all the perspectives. Icon/Images: But in Kapoor & Sons, for example, you played a character who was in the closet. It was a pretty progressive film. So in some way or the other, through your acting, you are taking a stand on certain issues. Right? FK: Not consciously, no. When you start labelling intentions to things, they become very... materialistic, and in a way, selfish. If I get into something I get into it for the pure joy of it. Icon/Images: Speaking of acting – I’d like to talk about your co-stars in India. You seem like you’re genuinely good friends with them. How have these friendships been affected by the ban against Pakistani artists in India? FK: I’m still in touch with a lot of my friends there. Nothing’s really changed. Obviously, I’m not a man of steel in that people’s words don’t affect me. They might hurt me. But I am becoming immune to it as time goes by. I have no expectations from them, and that’s what I think has developed this camaraderie. Even if I don’t work with them ever again, I’ll still always have love and regard for them, and I assume that’s how they feel as well. That’s why we’re still in touch. We even make plans to meet, to catch-up. Icon/Images: What do you think you gained as an actor from your work in Bollywood? FK: Thing is, in Bollywood they’ve got their systems in place. It’s a monster machine that’s churning out like 400 films a year, consistently. They’re able to efficiently process things. For example, when I was on the set of Khoobsurat there would be a team of auditors who’d be analyzing the cost of each day. Seeing it practically kind of reinforces your belief that planning is very important. There are a few producers who are doing that here and it’s encouraging to see that. But other than that, if you talk about acting, I think I’ve learned as much there as I have here [Pakistan]. I’m still in touch with a lot of my friends there [in Bollywood]. Even if I don’t work with them ever again, I’ll still always have love and regard for them, and I assume that’s how they feel as well. Icon/Images: About Pakistan -- you mentioned previously that you weren’t interested in TV as a medium anymore. Would you ever go back to TV? FK: Well that probably has to do with content. We’re actually in the process of engineering something. I can’t talk too much about it, and it might not work but there’s something that might just usher my return to television. Icon/Images: People I’ve spoken to have said you’re successful largely because you’re extremely strategic about the roles you choose. You’ve got a two major projects coming up in Pakistan, Bilal Lashari's film and Albela Rahi. How did you pick these projects, and how do you choose a role generally? FK: Well I think popstar Alamgir’s life [which is what Albela Rahi is about] is just very interesting. I feel some of the greatest content comes out of bio pics, out of the lives of real people. For those who know about Alamgir’s life, well, he’s had a very dramatic life. I’ve not stepped into the shoes of a real life character in my earlier work. But yes, I’ve tried to – or maybe it’s just happened - that the work I’ve done has been different from what I’d done previously. Like I started off as Sarmad in Khuda Kay Liye, and then doing a partition play like Dastaan. And actually people romanticise that play as a story of partition when actually it’s got a very horrific ending, about people who aspire to do something great in life and where they ended up. It’s less about patriotism and more about the personal journey of a man who loses everything, almost. And then I did a village oaf role in Akbari Asghari... so I’ve been fortunate to have those kinds of roles. You know, I’ve always felt I’d be better behind the camera than an object in front of the camera. Who knows, I might fall short of my claims. But I do think I have an eye for roles. I depend on my team to help me pick my roles, and by that I mean my managers, my wife... we throw ideas across the table and talk about the pros and cons. We’ve been offered many scripts, but we do one out of all of them at any given time. There are actors out there who are so talented they can jump between three sets in a day but I’m not that talented. I’d rather do one thing and give it 200 percent. Icon/Images: If you could pick on one thing (or several) that was the biggest problem in the Pakistani entertainment scene... what would that be? FK: That’s not ground I want to tread on. That’s very thin ice and I’m standing on that ice as well. I don’t want to fix things for anyone else. I can fix things for myself but I can’t make tall claims, at least not in an interview. Icon/Images: Don’t you think it’s the responsibility of leading actors, especially those who’ve worked in Bollywood, to help us raise our own standards? FK: Kehne aur karne mein bohat farq hai (there's a huge difference between saying something and actually doing it) [laughs]. Today I’ll say something and people will start telling me I have nakhras (demands)! Icon/Images: But people already say that! FK: That’s what I’m saying [laughs]! We could use more diverse content [in Pakistan]. I also think we could do more work set in rural Pakistan. That’s us, there’s nothing paindu about us. We should own our culture. We could use more diverse content. I used to feel that – and by the way, please state that this is my opinion and not a fact – like, when you’re a budding actor, you want to give every expression you know to a project. Or if you’re a writer, you want to write everything [in one script] because you’ve got some nice jokes, some quips... but I think... save it. Space it out. I also think we could do more work set in rural Pakistan. That’s us, there’s nothing paindu about us. We should own our culture. If we talk about writers – when people say, because the audience likes a certain kind of cinema, let’s do that kind of cinema -- well I feel that’s the wrong argument. Icon/Images: What are you watching these days? FK: Well these past few days I’ve been watching Richard Pryor and George Carlin. I’ve been watching the 'Richard Pryor Show' for NBC made during the 70s. I’m a big fan of his work. I’ve been watching Andy Kaufman as well. Icon/Images: And what about Pakistani cinema? FK: I’ll be very honest, I’ve not seen much work. A big reason is that no one lets me watch films or TV in peace [laughs]. The last film I saw was Jawani Phir Nahi Ani. My lovely friends are in it. I’ve heard rave reviews for Manto and Moor. I’d like to see them. Icon/Images: Now that acting in India is off the table, at least for the near future – what avenues outside Pakistan are you exploring? FK: Wherever the wind blows me, I’ll go! My eventual goal is to have enough experience to produce something on my own. Icon/Images: A friend of yours told me what motivates you most now is your family. Do you agree? FK: Yeah. They are the pillars, my cornerstones. They hold me up. My kids are the light of my life. I aspire to be a better family man, and now that I have more time, I’m learning the ropes again. An abridged version of this interview was published in Dawn Icon on Sunday, 5th February 2017. Thank you India. Please continue this hate. Our artists are now going to build our own local industry. What better gift than this to our industry. Believe me, its a great news for us in India too. Btw for me Wikipedia is the most wrong source of information regarding main issues..
Well. Good luck. We are very much happy. Fawad is not welcome in India at this point. Thanks you for staying back in your country and good wishes. thank you Fawad . please build your industry . I will be happy . I am already fed up of pakistani coming at every bollywood movie trailer on youtube and abusing us Indians . it will be better if they don't watch our movie . the hate might reduce . best of luck . He has no other option but to look inwards. Until the relations between the 2 countries improves. Poor guy doesnt have a job. When bollywood calls pak artists it means it is short of talent and when it bans them, it is out of fear of their "popularity" and super talent that they will replace the Indian actors forever. haha. By the way I would wish Fawad sir to do outstanding dramas and superb movies there as he did previously. Best of luck sir. Thanks to my wife, I have also become a fan of his personality. I really admire your stance of avoiding questions that have no answer, just controversy. 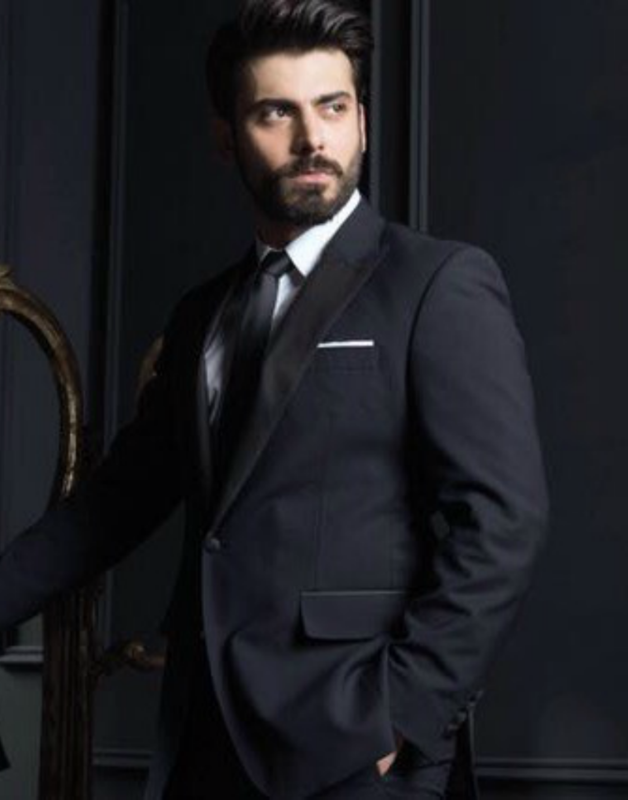 Fawad has got a charming personality, he should also try his talent into the Hollywood , I am sure he will be even more successful ever before, and at the same time he can help local film industry to get up on her feet and rise one day. Good Luck You. No appreciation or acknowledgement of the fame, wealth and love received in India. Best stay at home and make movies there. Indians can do very well without ungrateful people from across the border. @ASHISH ..You are blind to the Indian abusers on You-tube ?abuse is from both sides on You-tube and the language from Indians is vile. @YAqut khan That's the most stupid statement i've ever heard in my life. @asad He has already been in your industry for 10 yrs. No need to thank us for the gift, you are welcome. This guy doesn't know what is ACTING? no one wants to take him in Pakistani dramas. He is a Superstar bigger than Salman & Shahrukh. Support your own cinemas and trust me, we can produce ever bigger superstars than Shan, Fawad & Ali. @timetostopthis why should he be grateful? He worked hard for it, no one gives you fame and wealth in charity. Fawad Kahn can stay in Pakistan. We don't need him in India. What a well-spoken personality! I haven't seen his work but now I'm interested! Respect! Look inward but think upward!